There’s something you notice while watching the first season of Petticoat Junction. The Bradley girls (except for the one whose father produced the show) experience a remarkable upper-body expansion. The Bradley girls (Riley, Woodell, Henning) in the first episode of the season. In the first episode (“Spur Line to Shady Rest,” 9/24/63), Billie Jo (Jeannine Riley) and Bobbie Jo Bradley (Pat Woodell) have perfectly pleasing figures. But over the course of the season, a captivating curvature is underway. The ballooning bosom phenomenon is most apparent in Jeannine Riley, whose role on the show expands in tandem with her bra size. But before long, Pat Woodell is busting out as well. Was there a competitive bra-stuffing campaign underway? Or had the girls’ figures been craftily confined in the early going, gradually giving way to their full unbound glory as the year went on? The DVD release for that season includes commentaries from castmates Woodell and Linda Henning, but their chatter is limited to gushing praise for each other and nostalgia for the time they spent on the show. Left unsaid is why Jeannine Riley left after the second season, how well they all got along, and why those very feminine dimensions seemed to grow over time. But maybe it’s all my imagination anyway. All eyes are on Jeannine Riley in the last episode of the season. 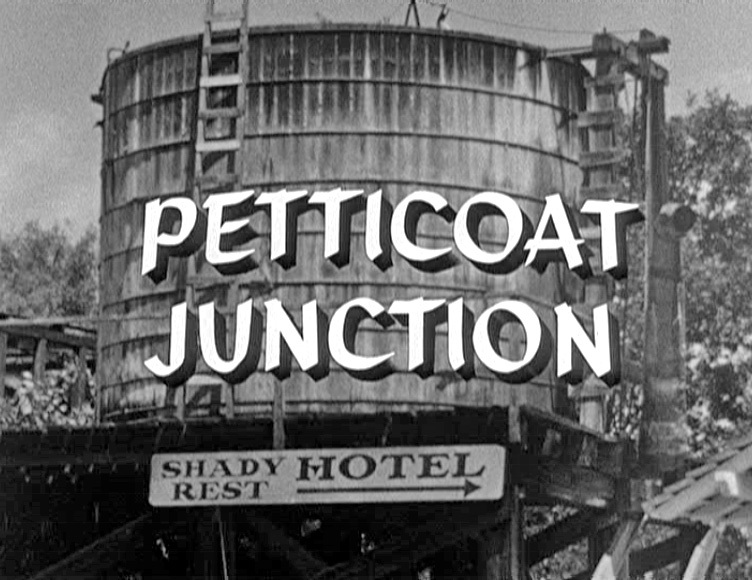 I didn’t have high hopes for Petticoat Junction. I’m too young to remember its original run, and I never saw it in syndication. But I found it to be a pleasant little show, for the first dozen or so episodes at least. Afterward, the freshness is about gone and it becomes a pretty generic sitcom. But you do get to see old pros like Bea Benederet, Edgar Buchanan and Charles Lane on a regular basis, and the theme music is one of my very favorite TV tunes of all time. There are a good handful of memorable episodes, like “Bobbie Jo and the Beatnik” (1/7/64, with Dennis Hopper), and every now and then a touch of sweetness emerges and overcomes the sitcom tropes and the canned laughtrack. The Christmas episode (“Cannonball Christmas,” 12/24/63) is a good example. In later seasons, Billie Jo and Bobbie Jo would be played by Meredith MacRae and Lori Saunders, charming actresses who became big fan favorites. But my own favorite of the Bradley girls remains Pat Woodell, who left the show after the second season, looking for an elusive singing career. That didn’t really work out, but I have to admire her courage in walking away from Hollywood to pursue a dream, and it’s easy to admire someone this beautiful and appealing anyway. She passed away last September. Also from the last episode of the season: Pat Woodell stands out. Where Are All Those Episodes of DRAGNET? “The color Dragnet” is a pretty good show overall. Episodes from the first one-and-a-half seasons are often terrific. The third season falls into a rut of showcasing tedious police administrative procedurals, but the show recovers somewhat afterward. And of course, even if a particular episode isn’t anything special, you still get to enjoy Jack Webb’s performance as Sgt. 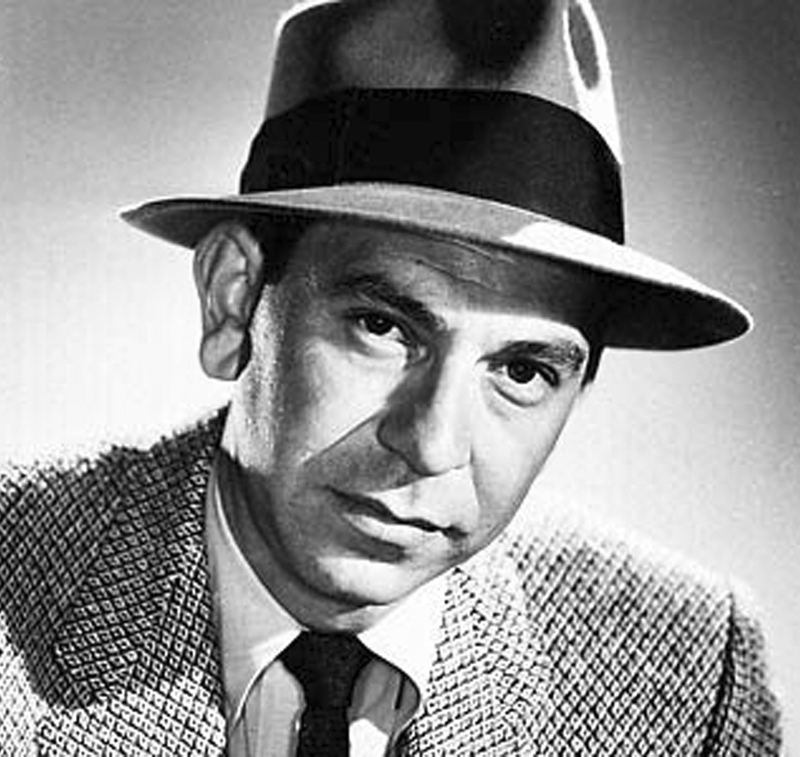 Joe Friday, with that voice of his and the way he delivers his lines. So yes, it’s a pretty good show, but what’s really good is the black-and-white original Dragnet. It’s got a very film-noir feel to it, full of dark nights, heavy shadows, staccato dialogue, fedoras, overcoats, dangerous losers and cynical dames. The Sgt. Friday of these years is lean, terse and somewhat haunted. He can relax a little bit while bantering with sidekick Frank Smith (Ben Alexander), but soon it’s right back to the exhausting grunt work of a police detective: following up on leads, dealing with dullard civilians and surly punks, and piecing together a case, one clue at a time. And the cases are often very grim. There are rapists and violent psychotics on Dragnet, even child molesters. 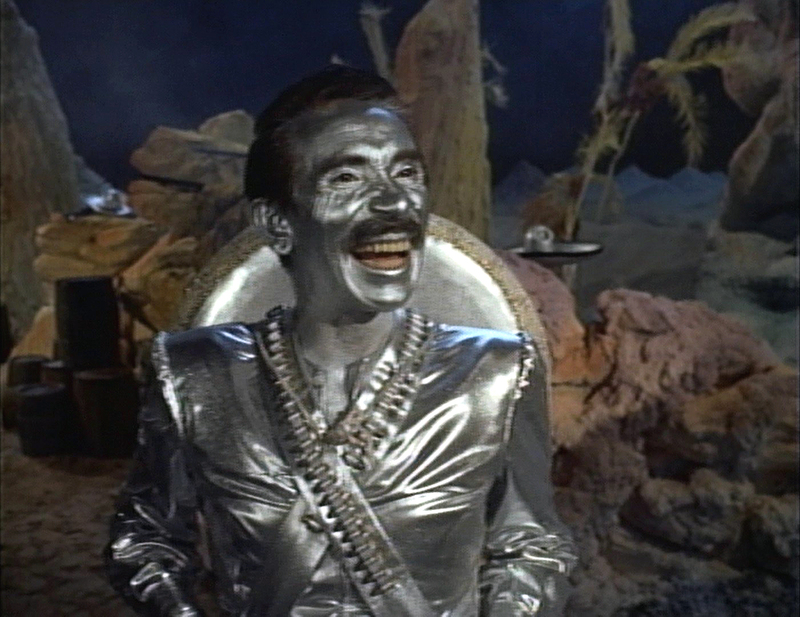 Many episodes in the early years recycled the superb radio scripts of James Moser, which lost none of their impact in the transition. There’s stark, dramatic lighting and unusual overhead camera shots. It’s very compelling television. Dragnet was one of the few hit radio dramas to become even bigger on TV, placing in the Top Ten throughout most of its first six seasons (not surprisingly, it was especially popular in its home base of Los Angeles). A Warner Bros. movie version was also a hit, arriving pretty much right at the peak of Dragnetmania in late 1954. Things began unraveling three years later. Maybe audiences felt the show was getting a bit stale. Certainly, Webb himself was getting a little winded by this time. Besides starring in every episode, he was producing and directing them as well, while developing other film and TV projects on the side. In spite of a very strong lead-in (Groucho Marx’s You Bet Your Life, the most popular Thursday show of that 1957-58 season), Dragnet’s ratings began falling steadily. It was beaten in its timeslot by ABC’s The Real McCoys, prompting a move to Tuesdays the following season. But even more viewers were lost, and Webb turned in his badge. 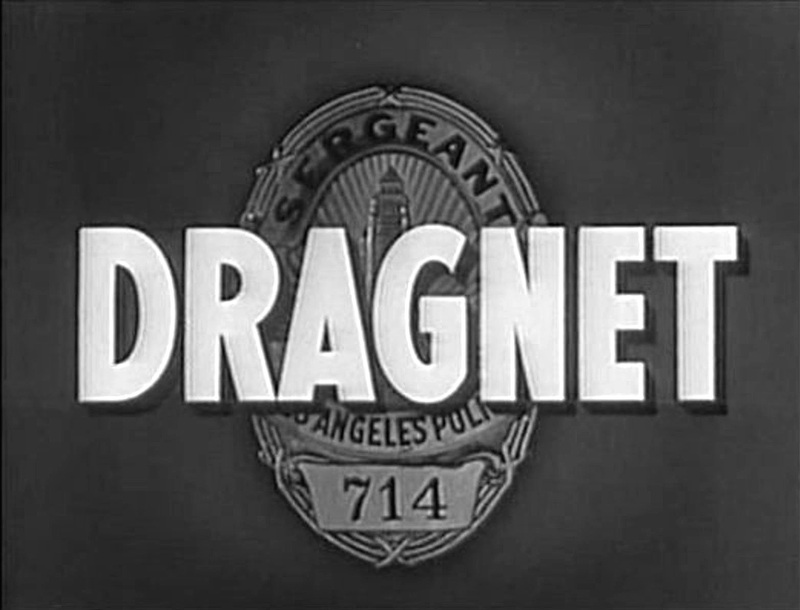 Dragnet was over, at least in prime time, but the show was already a staple of the syndication market, and would remain so well into the 1960s, under the title Badge 714. Oversaturation is as good an explanation for the show’s demise as any, but it should be noted that by the time these later seasons were produced, the well of old James Moser radio scripts had run dry. Given Dragnet’s popularity and prestige, why hasn’t it been given an official DVD release? Unlike the fabled anthology shows of the era that were aired live, Dragnet was shot on 35mm film. So why doesn’t someone just transfer it to video? That’s a question I’ve been asking for years, and I’ve been given different answers. I’ve heard that it’s a simple matter of no one having gotten around to it yet, but that’s ridiculous. Dozens of Dragnet episodes never had their copyrights renewed, and some people believe that’s why no one’s produced an official DVD release— after all, why spend a lot of money restoring public domain shows for DVD when anyone could legally copy your work and sell it themselves? But official releases of the early seasons of One Step Beyond and The Beverly Hillbillies have come out— material that’s largely public domain— so why can’t that be done with Dragnet? Michael J. Hayde, in his book My Name is Friday (2001), says that “the negatives have been placed in storage,” but if so, nobody seems to be able to find them. I’ve heard that one of the more prominent video labels has tried to do a comprehensive release of the show, but that the project blew up on the launch pad when very little quality material could be obtained. The bitter truth is that most of Dragnet is missing. Like Lon Chaney’s London After Midnight, it’s simply lost, possibly forever. Many of you will scoff at that notion, since people like to think that every movie and show ever produced is resting patiently on a shelf somewhere. That’s just not the case. In 1953, Jack Webb and two partners sold the Dragnet franchise to MCA, the company whose Revue subsidiary was a prodigious producer of prime-time TV material. Revue’s stuff was filmed at Universal’s movie studio, and in the course of time MCA gobbled up Universal as well. Today the amalgamation is known as NBCUniversal. There are a number of explanations for why this is so. Simple incompetence is one. The sheer size of the company’s holdings is another. And accidents do happen. Vault fires have destroyed more material than incompetence ever did, and Universal had a devastating one as recently as 2008, though the 35mm elements for Dragnet seem to have gone missing well before then. The suggestion has been offered that Jack Webb’s estate must be sitting on them. But Webb and his Mark VII Productions sold the early Dragnet material to MCA, as noted. 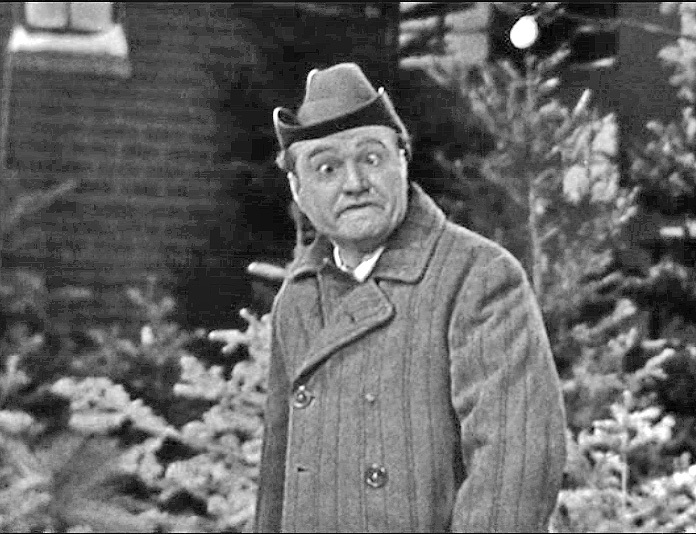 The later seasons were produced as a work for hire, and neither Webb nor Mark VII ever had those originals. Is there a chance that the Webb estate has copies? Dupe negatives, maybe? Webb did indeed maintain a film vault, and he did hold original camera elements for other shows he produced. Unfortunately, he disposed of the contents of that vault, for tax and insurance reasons, around 1976. The late film historian Robert Birchard was just out of college at the time, and had the unhappy assignment of overseeing that destruction. Lost were the original 35mm elements for the Mark VII shows Noah’s Ark (1956-57) and Pete Kelly’s Blues (1959), along with a set of 16mm Dragnet episodes, among other things. All of those prints are now long gone. 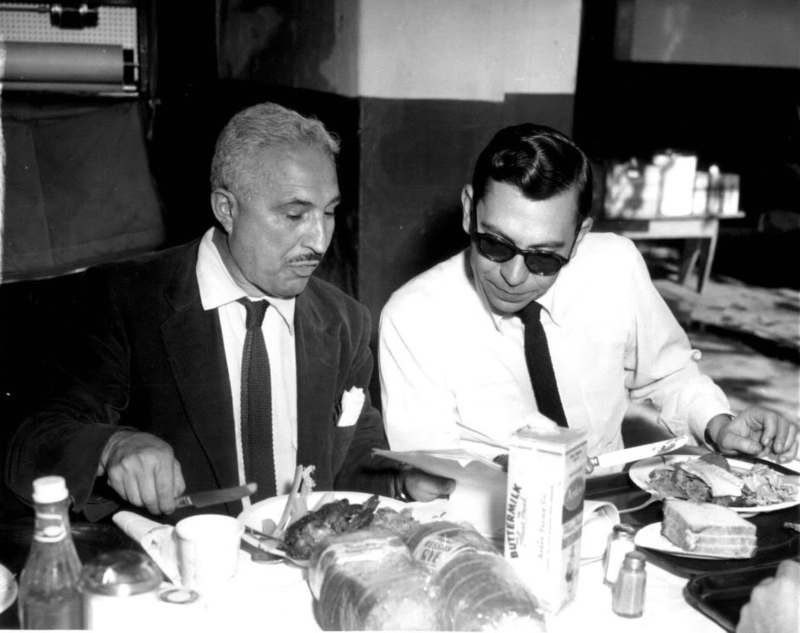 Webb works through lunch with assistant director Sam Roman, October 30, 1953. How about other 16mm prints? This is a real puzzler for me. Considering how successfully Badge 714 played in syndication, the collectors’ market ought to be swimming in those prints. But it isn’t. In thirty years of collecting 16mm, I can’t remember ever seeing a single episode advertised in The Big Reel or Film Collectors World. Why are they so rare? I have no idea, but about the time the 1967 “color Dragnet” appeared, Badge 714 was pulled from syndication to prevent oversaturation. This likely prevented a lot of prints from slipping into collectors’ hands in the first place. They’re not completely gone, of course. A few dozen episodes are available on YouTube and the DVD collectors’ market, transferred from stray 16mm prints. (Wikipedia says there are 52 episodes in circulation, but I’ve got 64 myself and I’m sure there are at least a few more out there.) That’s a fair sample, but considering there were 267 episodes produced, the survival ratio is pretty miserable for such an iconic series. In terms of image quality, some of these 64 look very good, but a great many circulate only as copies-of-copies-of-copies, so if you’re shopping around, lower your expectations accordingly. One edition I like is a five-disc, 25-episode set released in 2004 by Madacy, easy to find on Amazon and eBay. For diehard collectors, a much larger set is available from Randy Narramore (randyn (((at))) earthlink (((dot))) net). I’ve bought this set and others from Randy in the past. He’s reputable and his prices are very fair, but unavoidably the image quality in the Dragnet set varies from beautiful to blecch. A show as popular, compelling and influential as Dragnet deserves better, but unfortunately this is as good as it’ll ever get. I hope to be proven wrong. Irwin Allen’s 1960s sci-fi shows tended to start out pretty well, with imaginative scripts, impressive sets and lots of action. But before long, things would start falling apart. 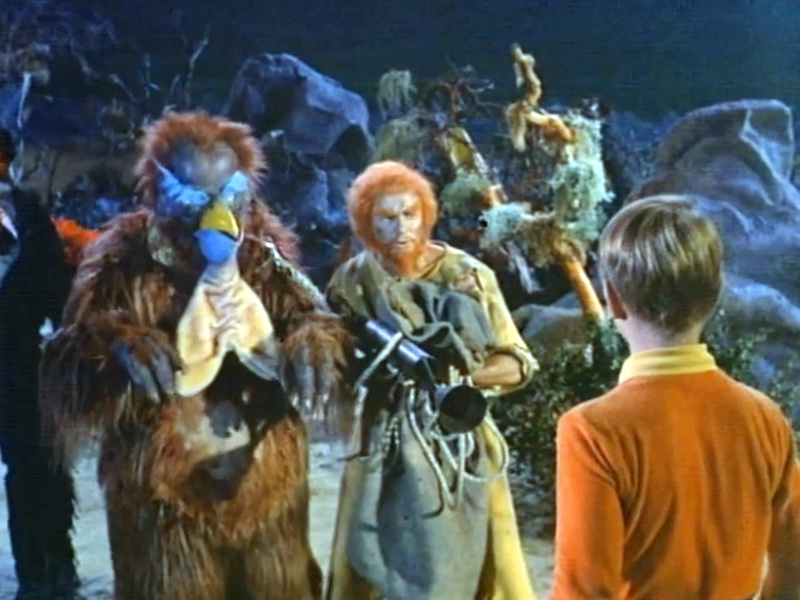 The concept was solid (it’s essentially The Swiss Family Robinson in space), and early episodes offer some imaginative adventures. But even during its first season, when the show was definitely at its best, there are some real clunker episodes. By the middle of the third season, almost every episode is just completely stupid, as if the producer had decreed that every script had to be tailored for an audience of eight-year-olds. 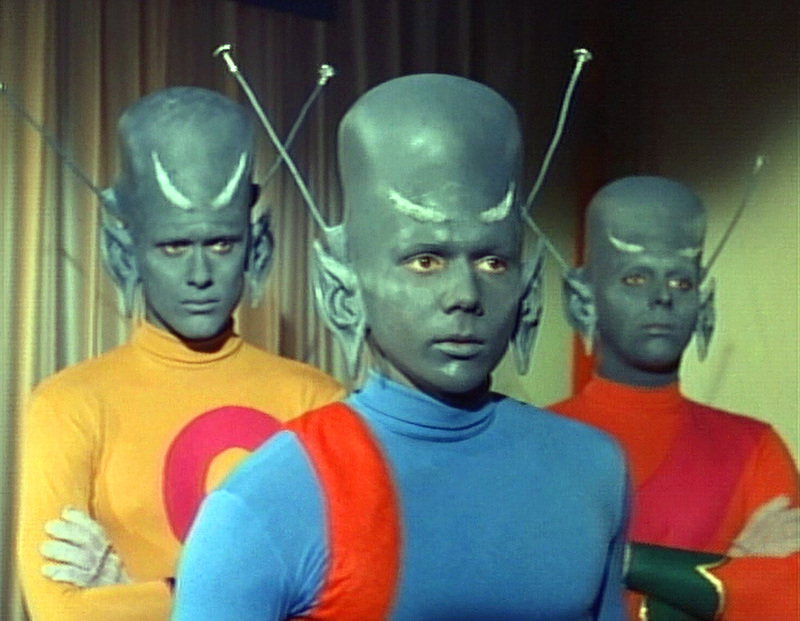 Although the budget increased substantially, much of that went to pay salaries, leaving the show looking nearly as low-rent as Space Patrol had a generation earlier. 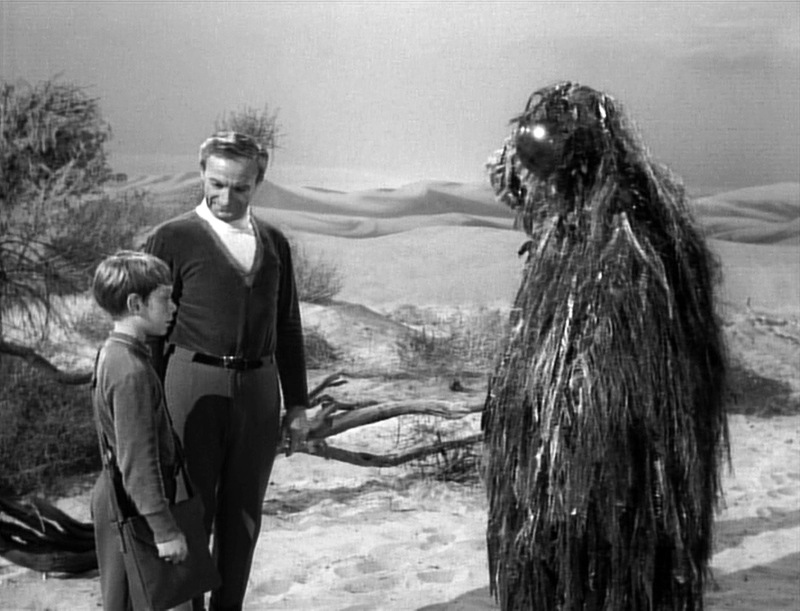 Nothing illustrates its decline better than the various aliens and space monsters encountered along the way. Again, during the first season these can look pretty good. But toward the end, they’re just laughably bad. 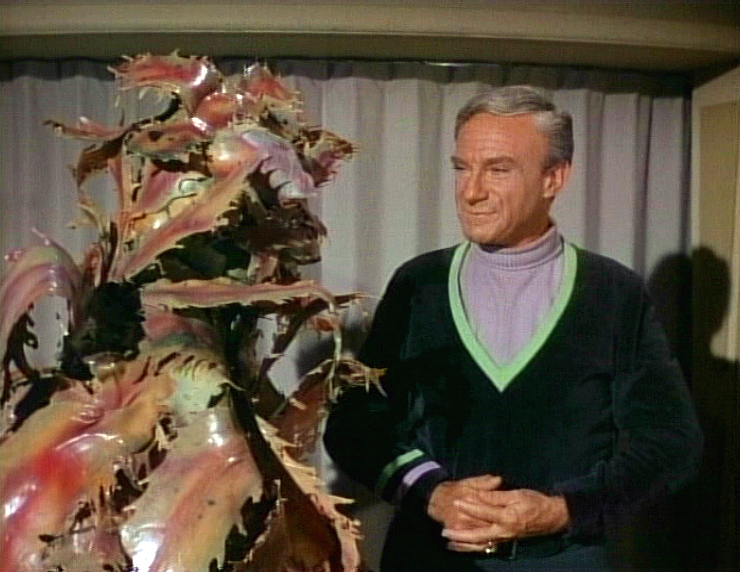 Here are my picks for the ten absolute worst-looking aliens on Lost in Space. Hot tip for collectors: As we all know, a lot of vintage TV shows have never been officially released on DVD. But that doesn’t mean they’re unavailable. Some wonderful stuff circulates on the collectors’ market. For many years, my friend Steve Russo has made a lot of rare material available to collectors, and he’s now offering a special selection at sale prices. Email him at steverussovideo ((at)) msn ((dot)) com and he’ll send you the list. Of course, keep in mind that none of these shows have been digitally transferred from 35mm camera negatives, but Steve is proud of the quality he’s been able to obtain. I can already vouch for his Make Room for Daddy and Colgate Comedy Hour releases, and I plan on placing another order myself. There’s a lot of good stuff there. Grab it while you can. Vintage TV westerns tend to be violent. Really violent. And considering all the gun violence that rages across the network frontier, it was inevitable that a government official would step in and demand that everybody lay down their firearms. That’s what happens in a Gunsmoke I saw recently (2:25, “Bureaucrat,” March 1957). 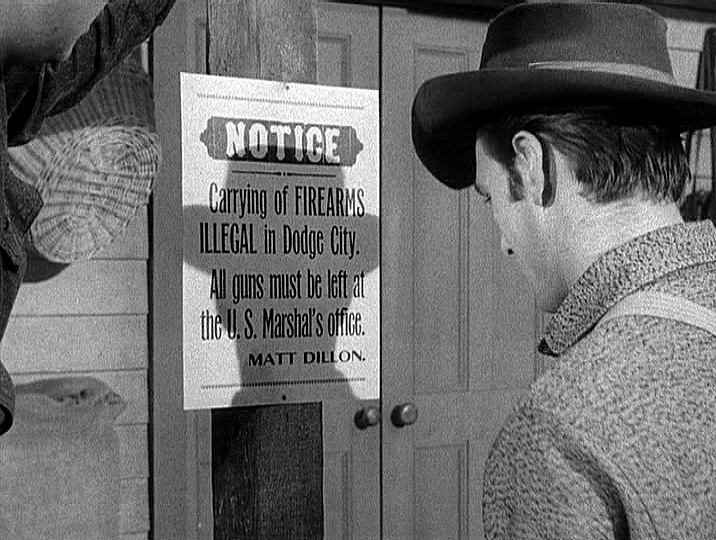 Marshal Dillon is ordered by a visiting supervisor from Washington to make Dodge City a gun-free zone. The idea is to eliminate the shooting deaths which are a weekly feature of this show. So far, the script doesn’t care whether you see this as a common-sense step toward public safety, or as an assault on the Second Amendment. The citizens of Dodge see it as a means of being rendered helpless to defend themselves against the sort of people who don’t obey gun laws (or any other laws). I won’t bury you in plot details but in the end, the experiment in gun control is dropped after failing completely. 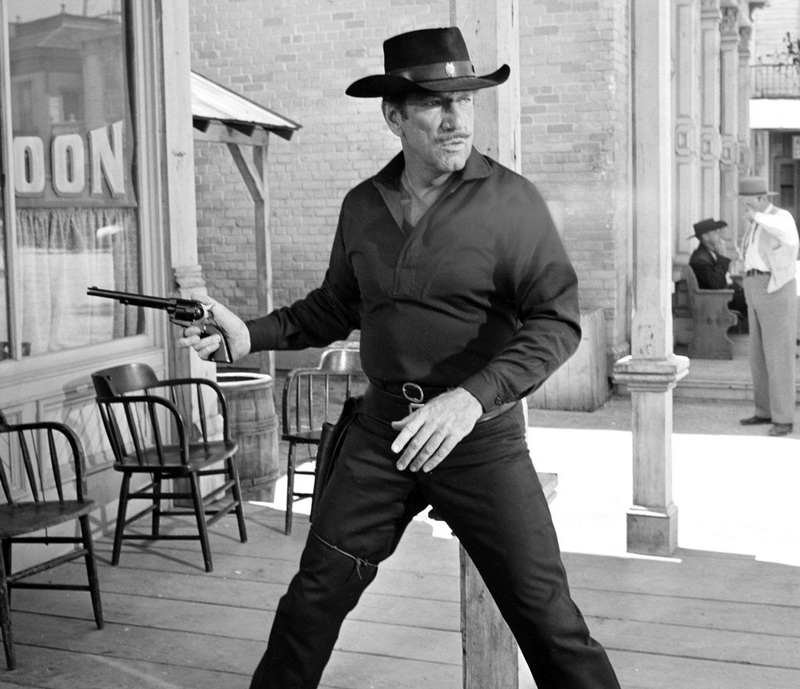 The script was based on a Gunsmoke radio play by John Meston, offering a muscular defense of frontier justice along with a swat at government intrusion. A lot of these early Gunsmokes are steeped in the grim insecurity of the Cold War, when the threat of sudden death on a massive scale was a very real danger. From that danger come these masculine studies in keeping the wolf from civilization’s door. If this episode had been from the late-‘60s, written by someone from the Rod Serling – Sterling Silliphant School of Earnest Social Commentary, we’d probably see Dodge City’s loudest gun rights advocate accidentally shoot his own little girl to death. Or maybe he’d lead an angry mob to gun down an Indian suspect (who turns out to be innocent), as the wise old government bureaucrat sighs. Personally, if I have to choose, I prefer the Meston approach, but the level of violence would be about the same either way. I’m not sure that you can have a really compelling western series without violence. Dramatically, threatened or implied violence can be more effective than the real thing. 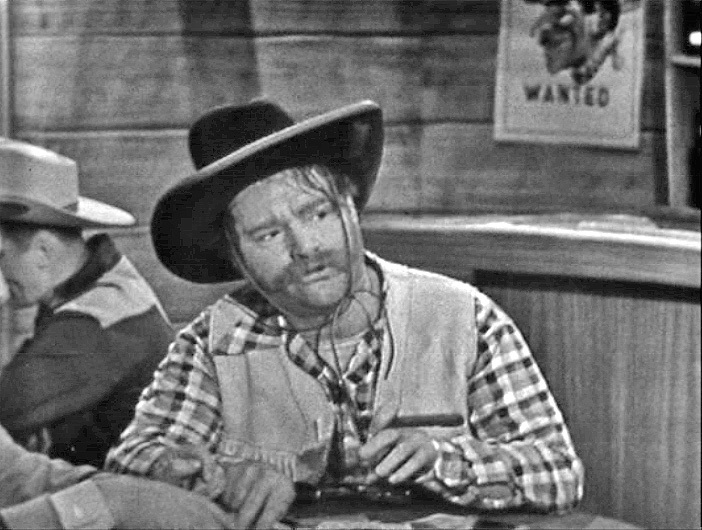 For example, take this episode of Wanted: Dead or Alive (1:15, “Rawhide Breed,” December 1958), one even grittier than usual for this two-fisted series. Steve McQueen’s bounty hunter character is stranded in the Arizona desert with a companion. Hostile Apaches are scattered everywhere, and the sanctuary of an Army fort is many miles away. McQueen and friend are traveling on foot. They’ll die if they don’t find water. They manage to capture a young Apache, and McQueen tries to intimidate him into revealing the location of the nearest water hole. Any other show would have the hero shout at the Indian, or appeal to his sense of mercy. 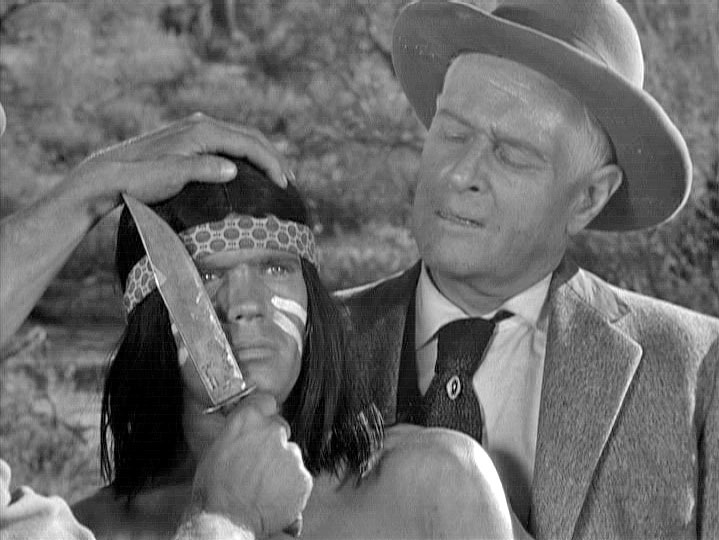 But this is Wanted: Dead or Alive, so McQueen threatens to slice the Apache’s nose off. A scriptwriter from the Serling-Silliphant School would now have McQueen be overwhelmed by remorse for resorting to such a brutal display: “Look what I’ve become! The savage one is me!” He’d recoil in shame and drop to his knees, whereupon the unexpectedly kindly Indian would point out the water hole, and both would drink together. But this is a Samuel Peeples script, the product of an earlier era. McQueen never does slice off the truculent Apache’s nose (imagine getting that past Standards and Practices!). He drops the knife with a sigh of resignation— not over his own violent impulses, but because the threat doesn’t work. The first moment McQueen is distracted, the Apache runs away. Soon there are encounters with other Apaches, all of whom are gunned down just before they can kill our protagonists. The paradox about westerns is that if you take out the violence, all you have left is a travelogue, whereas too much violence reduces your story to a Punch-and-Judy show of monotonous gunfire and men endlessly wincing and falling over. You have to strike the right balance. The producers of Rawhide liked to tackle character studies in which complex people confront their inner demons in a parched landscape, but viewers would write in and complain that they weren’t seeing enough killing (or cattle). Similarly, Chuck Connors recalled how the fans felt a little cheated whenever The Rifleman was able to resolve the week’s conflict without resorting to his awesome rapid-firing rifle. Is it art? Maybe. But I guess it’s art that I can get along without. It’s not the level of violence that gets oppressive, but the ugliness and the ennui. There are unforgettable things in Deadwood, but I lost interest in the show. It spends so much time gazing into its own filthy navel that it stopped entertaining me and I drifted away in the middle of the third season. For the most part, I have even less interest in the antiseptic old kiddie westerns like The Roy Rogers Show and The Gene Autry Show. The dopey sidekicks are incredibly annoying, and the stories tend to be uninspired. I need a western with a little more meat on its bones than that. But there are juvenile westerns worth watching, especially if you really, really like dogs (The Adventures of Rin-Tin-Tin), horses (Fury, The Adventures of Champion) or trains (Casey Jones). There are also women’s westerns. Dr. Quinn, Medicine Woman is the most conspicuous example, but I’d add Here Come the Brides and Little House on the Prairie to that category and maybe The Big Valley too. The Virginian crosses into that territory pretty frequently as well. There’s nothing wrong with this sub-genre, but it just doesn’t appeal to me and I’m not sure why. There are plenty of shows I like that explore love, relationships and family life. But I don’t want that stuff to crowd out the shoot-outs and the saloon fights, so we’re right back to the dilemma of striking the right balance. The level of violence isn’t really a concern, at least as long as my young son isn’t watching it with me. I want whatever level of violence the story needs. For me, the perfect TV western will have the advantages of brevity, authentic location shooting, plenty of action, a hero I can admire, and plots that are complex enough to be intellectually stimulating without sagging under the weight of extraneous detail. Gunsmoke comes close, but it’s too frequently formulaic (stranger comes to town —> conflict ensues —> someone gets killed). A few sentimental favorites aside, a clear winner emerges. It’s Have Gun – Will Travel. It avoids the genre’s fatal extremes: the simple-minded shoot-‘em-up horse operas of the classical tradition, and the tiresome brooding, self-absorbed anti-heroes of the modern. Violence is only used for dramatic impact; it’s there as often as the story requires it, but no more. It’s got Richard Boone and that perfect voice of his. The show doesn’t preach at me. It isn’t trying to save the world. It’s entertaining without ever being silly. It’s intelligent enough to be compelling without being ponderous. It’s got the authentic western scenery, and at 25 minutes an episode, it moves. Usually the bad guy gets blown away in the end. Sometimes he only gets exposed, shamed and shunned, which can be just as well. Whatever works. There are episodes here and there in which Paladin describes how his gun was hand-crafted to his exact specifications to ensure perfect balance. That describes the show itself… perfect balance. When you watch a lot of vintage TV in a sleepy trance long past your bedtime, you find that certain moments make a strong impression— moments that poke the imagination or stir an old memory. These were the five most memorable moments from the eighty-odd vintage shows I watched last month. It plays better when you can hear the crunching metal. 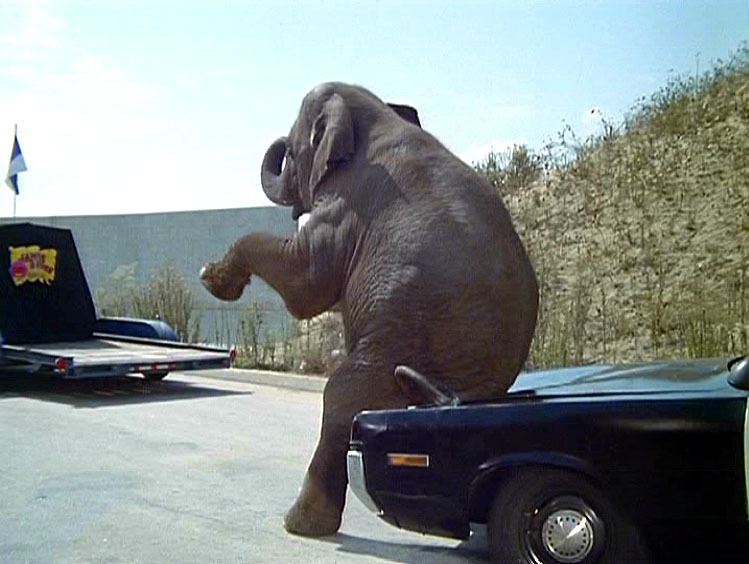 Elephant Squashes a Police Car – CHiPs (1:10, “Highway Robbery,” December 1977) – This series ran out of gas long before it left the air, but a lot of weird things pop up in the early episodes. 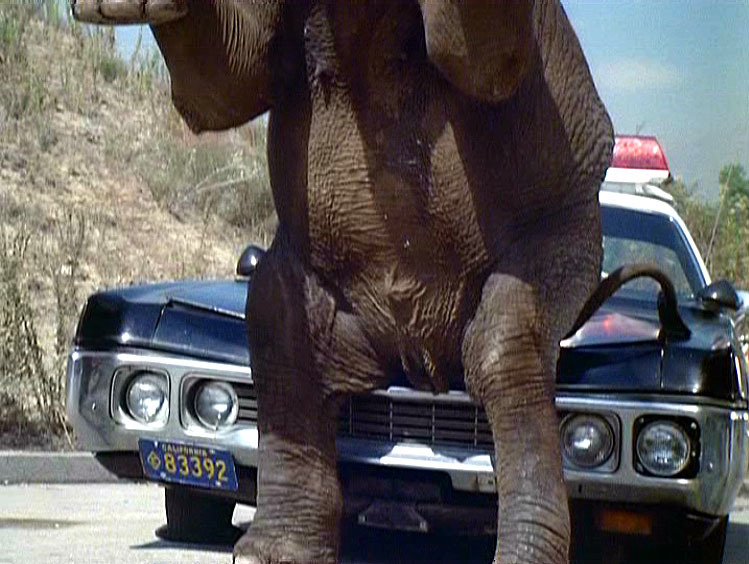 In this one, a circus guy is transporting an elephant on the freeway, which gets loose and lumbers around until it’s finally caught— but not before it caves in the hood of a police car by sitting on it. 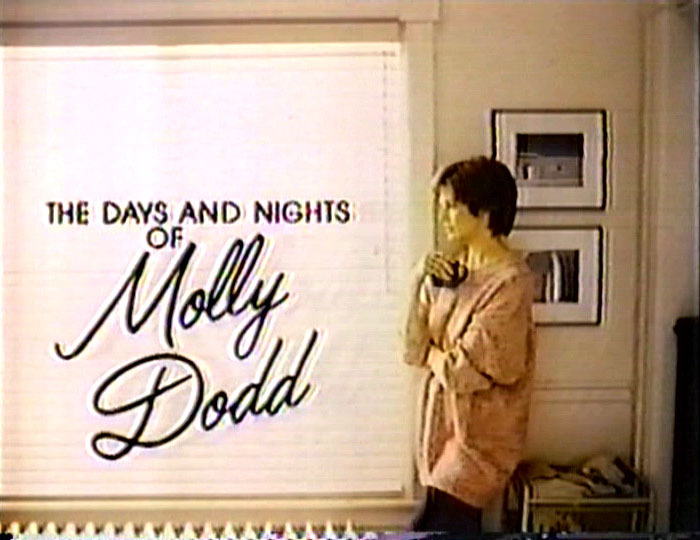 Molly Music – The Days and Nights of Molly Dodd (1:01, “Here’s Why Cosmetics Should Come in Unbreakable Bottles,” May 1987) – This NBC “dramedy” was a big favorite of mine in the late ‘80s, but I hadn’t seen so much as a clip in the last quarter-century. Because of music clearance issues, it’s never had an official DVD release and it may never get one. I went ahead and bought a set on the bootleg market, fully aware that it would consist of second- or third-generation VHS dubs. 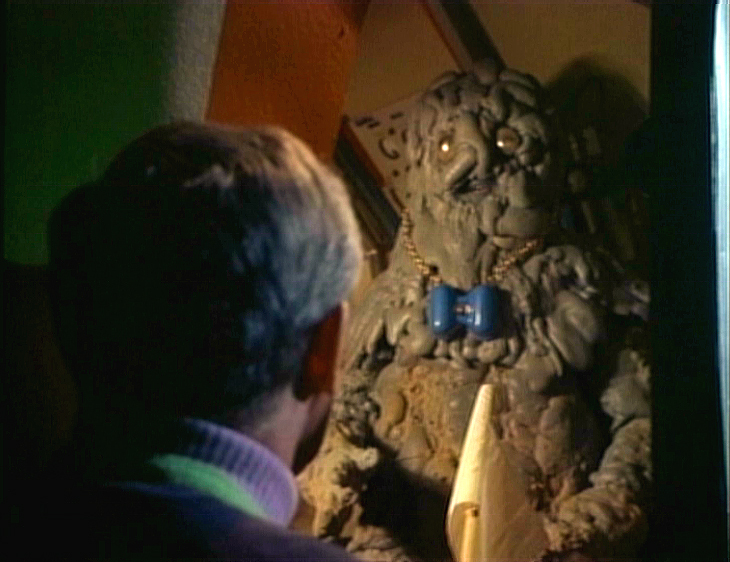 Someday I’ll write up a guide to vintage TV bootlegs, or just a review of this particular show. But for now, I’ll just say that it was magical to pop the first disc into the machine and hear the Molly Dodd theme music again after all those years. It’s lilting but jazzy, a little like the Jeeves and Wooster theme (See? I do watch more than just westerns and cop shows). I was surprised to find that I remembered the tune completely, along with the visual vignettes that accompany it. Funny how much you remember without realizing it. Ah, Molly. I never forgot you. 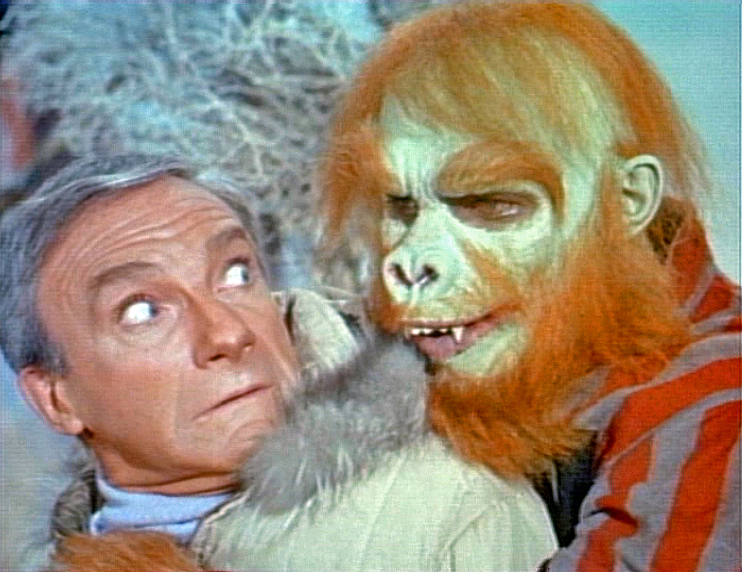 The Beast of Big Ghost Basin – Cheyenne (2:14, “Big Ghost Basin,” March 1957) – This was definitely an offbeat episode of the Warner Bros. western, really more of a mystery story. A bloodthirsty beast has been attacking people in the middle of the night out in Big Ghost Basin. Nearly everyone who’s encountered it has been crushed to death by it, so no one really knows who (or what) the beast is. It can’t be a bear, because it leaves no claw marks. While watching this, I was apprehensive that the monster would turn out to be something stupid, like a rustler in a costume or something. But I was hopeful that it would be a cool-looking Sasquatch-like creature. After all, Warner Bros. had some money to spend, and Cheyenne was the studio’s top TV attraction at the time. 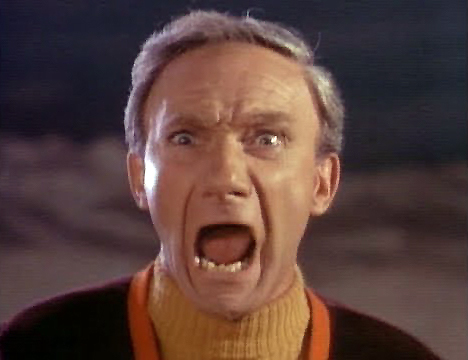 The suspense builds as the episode slowly reaches its climax. Cheyenne hides out in the Basin with his rifle, ready to stop the monster’s killing spree. He confronts the beast, and kills it with multiple rifle blasts just as it’s about to charge. So what does the monster turn out to be? A bear. What? Wait a minute— why doesn’t it have any claws, then? 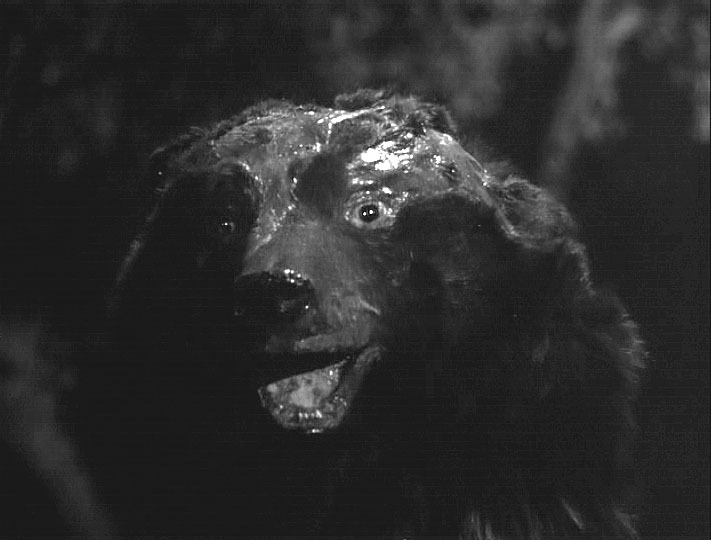 Because this bear, we’re told, had been caught in a forest fire, which burned off his claws and made him really mean. Are they kidding? I stayed up past midnight for this? And when we get to see the thing, it’s nothing but a guy draped in a bearskin rug (funny how the fire burned off his claws but not his fur). This episode wasn’t the worst thing I watched all month— that prize goes to The Hitchhiker (5:07, “The Miracle of Alice Ames,” July 1989)— but after that great build-up, it was the most disappointing. Ponch’s Hot Date – CHiPs – The same episode I mentioned above had a remarkable conclusion. Remarkably creepy, that is. Our Highway Patrolman hero Ponch has spent the whole episode lusting after the hot billboard model whose portrait appears in suntan lotion ads all over town. He can’t stop talking about how much he’d love to go out with her, and we can guess what’s running through his imagination. Well, by a wacky coincidence, Ponch’s supervisor is friends with her family. He sets up a blind date. Blind dates can be awkward. When Ponch shows up at the girl’s house with a bouquet of roses, he meets her and beholds the same familiar face, that of a 25-year-old woman. But— surprise! She’s got the body of a ten-year-old girl. How old is she? “Fifteen… on my next birthday,” she smiles, taking Ponch’s arm and cozying up to him. 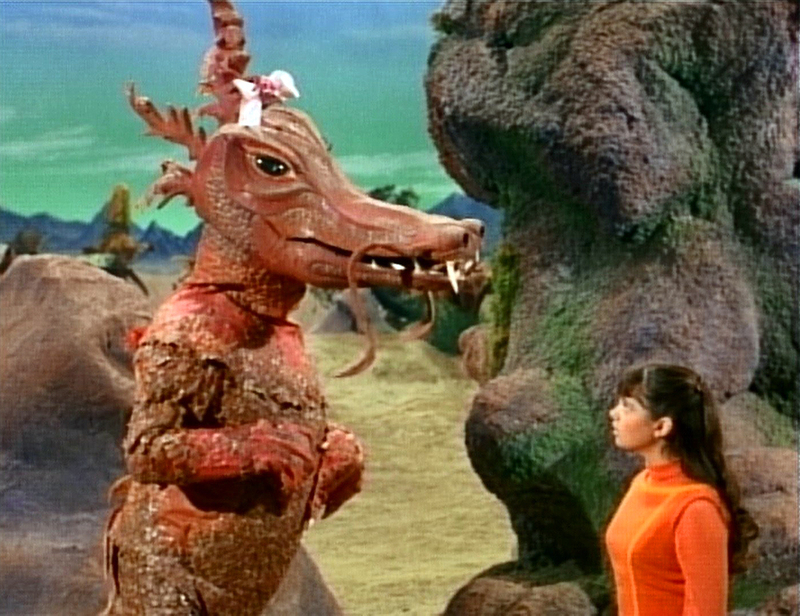 (The very odd-looking actress is Wendy Fredericks, in her only known role apart from a failed pilot.) She’s wearing a little pair of shorts and knee socks. Ponch’s patrolmen pals, his supervisor, and even the girl’s father are all on hand with big grins on their faces. What’s even creepier is that they’re holding cocktails and smoking cigars, as if they’re eager to watch what happens next. That’s where the episode ends. Dan Tanna’s Drive – Vega$ (1:01, “Centerfold,” September 1978) – The great supporting cast includes Morey Amsterdam, Tony Curtis, Abe Vigoda and Vic Tayback, but the really remarkable moment in this show had nothing to do with them, and almost nothing to do with the plot. Never mind the details, but it’s sort of a side-plot, involving the hero’s efforts to find a missing lion (yes, in Las Vegas). 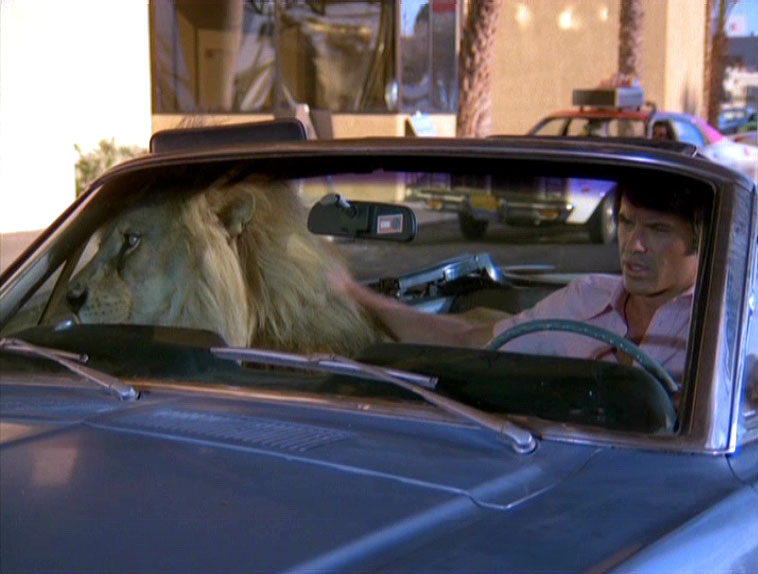 Eventually he does, and we’re treated to shots of star Robert Urich driving down the Strip in an open convertible with a live lion in the passenger seat. No process shots, no rear-projection (and no stagehand wearing a lion-skin rug, either); it’s real, surreal, and pure Aaron Spelling. That’s showmanship! The legacy of a great television comedian follows a three-step path. While your show is still in production, you’re loved. You’re a star. Everything you do generates goodwill. Then, after your show has had its run, you ease into the second stage: you’re respected. People remember you, your show has probably gone into syndication and/or home video. Maybe you’ve receded into the background somewhat, but you’re still a presence. You’re still a familiar figure in popular culture. But eventually comes the third step: you’re forgotten. This usually takes a while to happen, and it arrives quietly, like falling leaves in autumn. Your fans have become senior citizens. Some of them remember you, some don’t. Your show isn’t seen much anymore. The youngest couple of generations don’t know you at all. This dynamic has played itself out many times in television’s brief history: George Gobel, Bill Dana, Don Adams, Joey Bishop, Jimmie Walker, Brett Butler, etc. If TV’s silver-plated names seem to be more prone to this syndrome than the gold-plated names, that’s only because there are relatively few gold-plated talents in comedy. But it happens sooner or later to everyone, and it happened to Red Skelton. The Red Skelton Show was a staple of network television for twenty solid years. It went off the air in 1971, and ever since then his fame has slowly, quietly diminished— not because his stuff is no longer funny, but because it’s no longer easy to find, and… well, because of that three-step syndrome. His specialty was sketch comedy (preferably for live audiences), and television was the perfect medium for him. Throughout those twenty seasons, it placed in Nielsen’s Top Ten nine times. But the culture changed swiftly in the late 1960s. The young and the urban now had the spotlight to themselves. The networks were suddenly so eager to court the Pepsi Generation that they’d scrap anything and anyone whose main appeal lay outside that demographic. That included Skelton. His show had been a Tuesday-night staple (seventh in the ratings), when CBS abruptly cancelled it. He moved to NBC but was denied his traditional timeslot; his show was cut from an hour to thirty minutes, and its format was changed. The ratings suffered, and rather than repair the damage, NBC closed it down. Saturation re-broadcasts in the syndication market have kept a lot of old TV shows alive. But unlike I love Lucy or The Honeymooners‘ “Classic 39,” Skelton’s show typically wasn’t shot on film. It either went out live, or it was shot on videotape, which made it relatively unattractive for later syndication. 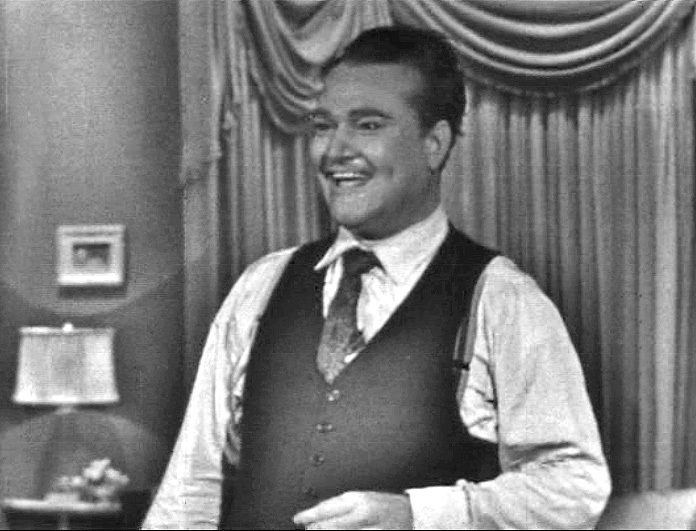 Skelton owned the rights to his shows, and the experience of being pushed off the air by CBS and NBC permanently soured his enthusiasm for the medium. So, unlike Lucy, Red never did make it to syndication. Like the saying goes: out of sight, out of mind. 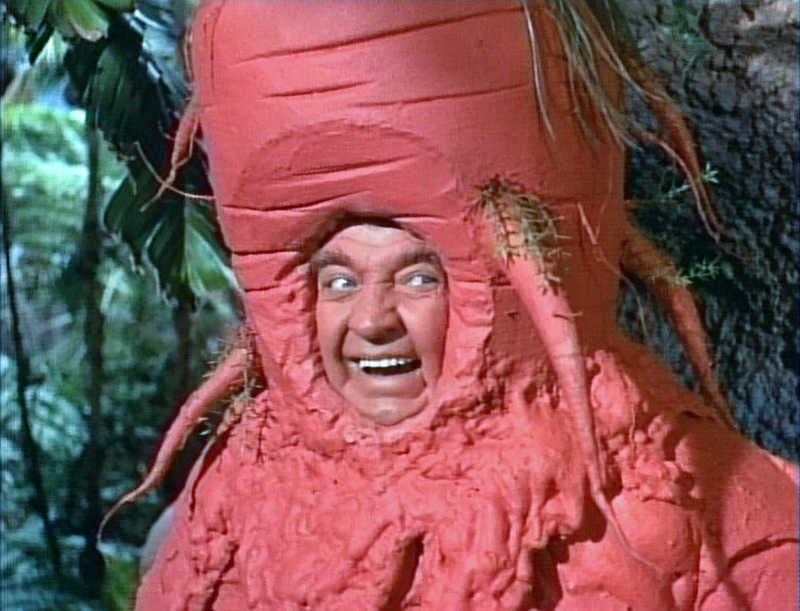 My parents’ generation saw Red Skelton every week; mine never saw him at all. 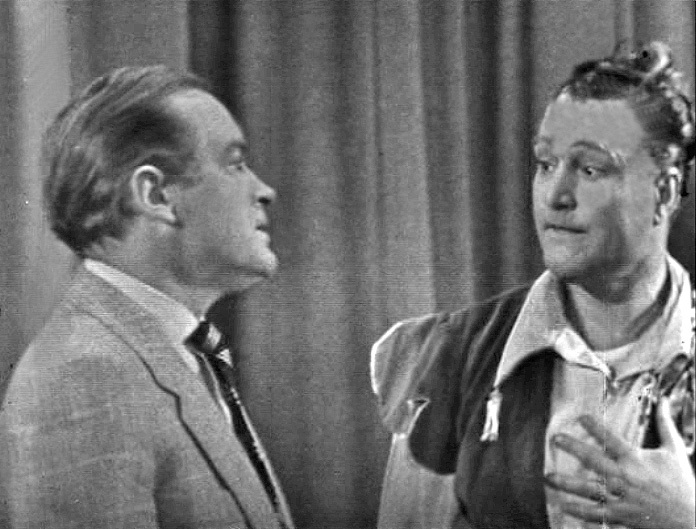 A Bob Hope cameo appearance, 11/25/51. 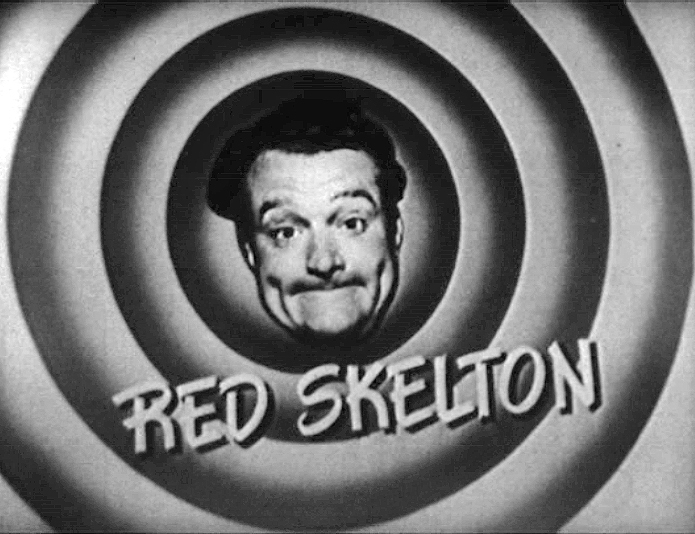 I’m too young to remember when The Red Skelton Show was on the air, and it took me a long time to get around to giving Red a try. I didn’t know him. I’d always guessed that his material was basically the loud, broad, wacky kind of thing that Jerry Lewis did, and I’m not much of a Jerry Lewis fan. But then I set those expectations aside and began watching some Skelton shows, and I found them to be really enjoyable. There’s slapstick, sure (and it works), but there’s also some standup comedy, pantomime and a dash of topical humor. What I enjoy most of all are his ad-libs, which are less cerebral than Fred Allen’s but just as funny, and executed perfectly. Any time a supporting player steps on his line, or a prop misbehaves, you can bet Red will instantly mark the event with a fast wisecrack, and that it’ll be both good-natured and hilarious. In fact, the ad-libs frequently draw the biggest laughs of the whole episode. In the years since his death, his estate has allowed a broad sampling of The Red Skelton Show to be released on video. Timeless Media/Shout Factory has issued several DVD collections, all of which are still in print. They’re not bad, but they’re a hodgepodge: the shows are edited (sometimes heavily), they’re seldom in chronological order, you aren’t given the broadcast dates, and there’s often a giant “bug” in the lower right corner of the screen, to deter piracy. Don’t get me wrong. It’s still good stuff. It’s just not presented very well. But a couple of years ago, Timeless/Shout released a brand new set, and this time they really did it right. The Red Skelton Show: The Early Years, 1951-1955 presents 92 episodes (plus an unaired dress rehearsal for one of them), mastered from rare 16mm kinescopes from the comedian’s personal collection. Kinescopes can vary in image quality, but these all look great. You get the broadcast dates for each one (the earliest is dated 10/21/51 and the latest is from 3/8/55). At least three of the episodes have been available elsewhere, but not with this quality. I’d like to focus on the show’s debut season. 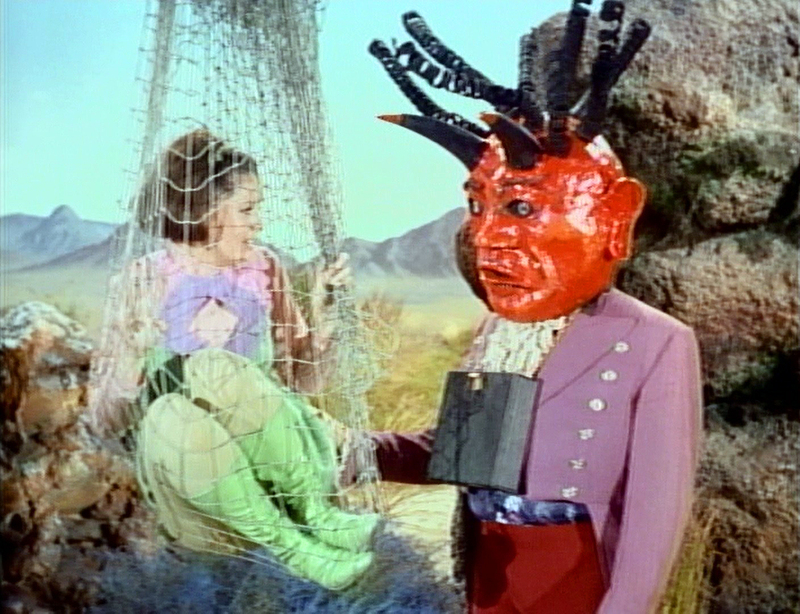 Twenty-seven of the episodes in the set are from Season One (October 1951 – June 1952). Skelton was a big hit this year, and the show has a lot of vitality to it. It was aired live, although each week’s offering includes a filmed “Skelton’s Scrapbook” sketch which always works in a plug for the sponsor’s product, Tide detergent. Early episodes this season include a musical segment with a nightclub or recording act (I was delighted to find that the guests one week were Foy Willing and the Riders of the Purple Sage, my favorite cowboy harmony group.) The musical acts disappear about half-way through the season, though, which is odd considering Skelton’s mounting fatigue. Incredibly, he was doing a weekly radio show, a live television show and a movie or two a year at this point. It’s no wonder that Season One’s later episodes are generally a notch or two below the quality of the earlier ones. But they’re all enjoyable. Skelton dropped the radio show and discontinued the live telecasts in Season Two, which made his schedule less exhausting. But doing the show on film came at a price: some of the old electricity was gone, and the canned laugh track had the effect of subduing the comedy rather than enhancing it. Ratings fell, Procter and Gamble pulled out, writers came and went. But Skelton soon recovered the lost ground; deciding to tape the show before a live audience was probably the key. Big guest stars began popping up from mid-1954 onward, and he seems to have made it his mission every week to reduce his flustered co-star to helpless hysterics. When he succeeds (and he often does), the results are television gold. There are some beloved TV comedies of the 1950s that I watch (and enjoy) without actually cracking a smile. This isn’t one of them. Certainly, some episodes are better than others, but Skelton’s batting average is pretty high. There’s some laugh-out-loud comedy here. The man obviously loved his work, and he’s a delight to watch. So yes, The Red Skelton Show is good stuff, and I recommend this collection.